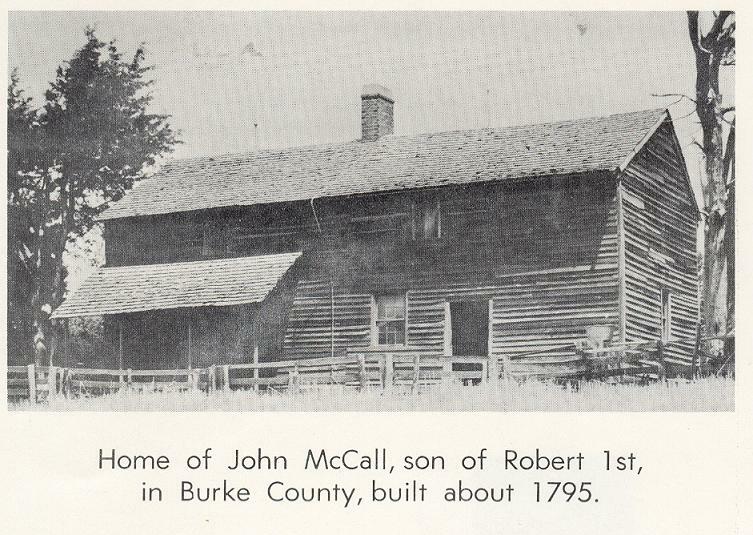 Burke County Home of John McCall, built about 1795. Phoebe Smith wife of John McCall. Daughter Elizabeth was the second wife of Benedict Bristol. 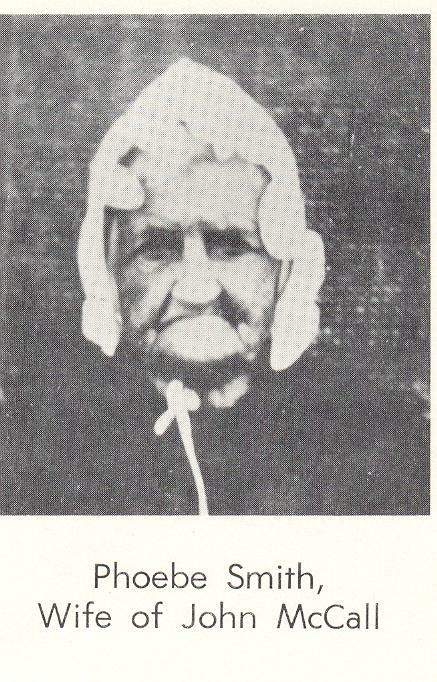 John's sister Jane (Jennie) was his first wife. McCall, Charles William D.D.S., "Robert McCall", in The Heritage of Burke County 1981, The Burke County Historical Society, Morganton, NC, 1981, no. 448. McCall, James L., comp., The McCall Family in Ireland and America, Morganton NC, no date, p.3. Poe, Allen, "Lineage of the Bristol & McCall Families - Some Comments", typewritten, copy in possession of LM Holloway.